Your culture. Your brand. Your identity. All expressed through stunning art. Designing the Workplaces of Today. Not Yesterday. 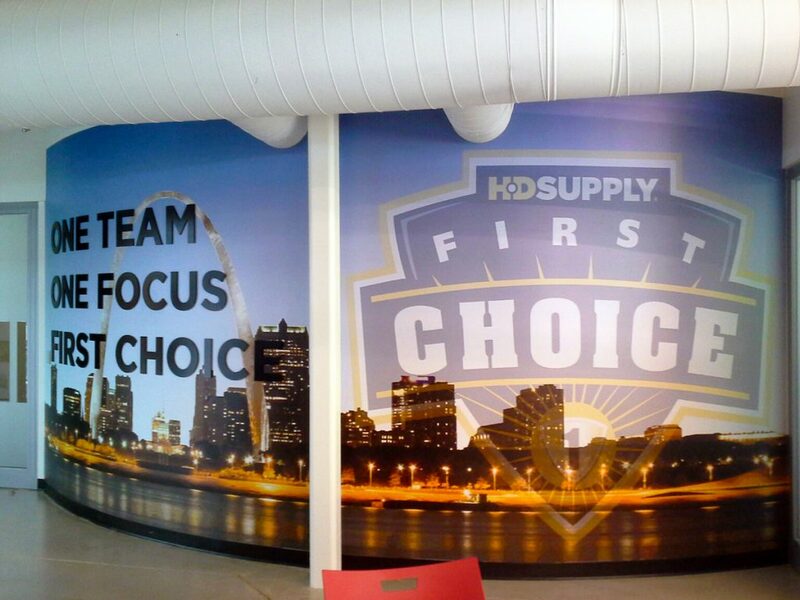 We’ve come a long, long way from the days when bare office walls, motivational posters, and a coffee mug or a pen with the company’s logo on it, were all that was expected by employees and customers alike. Modern companies understand the positive impact of broadcasting their values and their mission throughout their offices and buildings. They also are embracing the importance of cultivating beautiful and engaging workspaces. Why? Because it’s been consistently shown that the aesthetic quality of these spaces directly impacts happiness, creativity, and productivity. Art is also a powerful recruiting tool. As an expression of the organization’s culture, but also as a tangible link between the organization and their surrounding communities. Great American has developed solutions to meet the specific needs of today’s companies, their employees, and their customers. 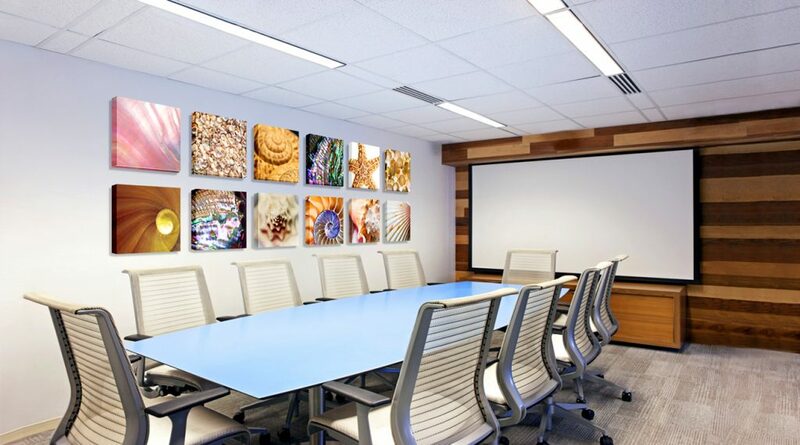 Whether it’s a small start-up, an established SMB, or an Enterprise with offices across the country, Great American can provide evidence-based art design, branded art, custom art pieces, and curated art programs. 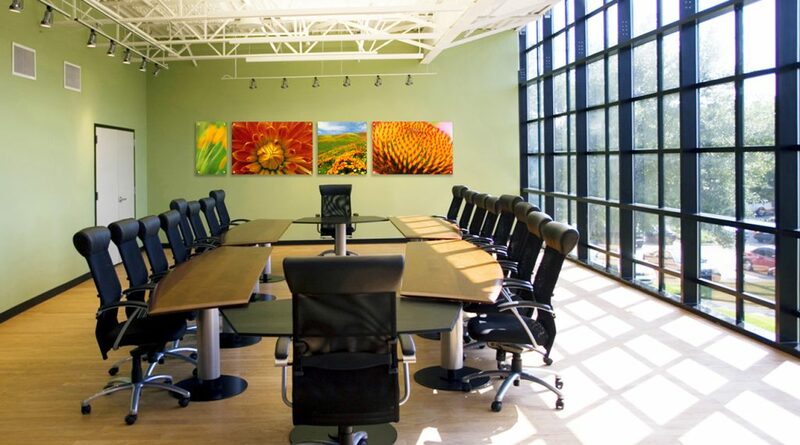 For companies with multiple sites across the state, or across the continent, we can help corporate provide governance for approved art options, while allowing each site autonomous management of their individual art programs. "Corporate culture" isn't just a buzz word or a fad anymore. It's a real, tangible force that can impact an organization for better or worse. Your spaces can tell your story. Work with us, and we'll show you how.